Pushing the boundaries of what you thought it was possible to cut. 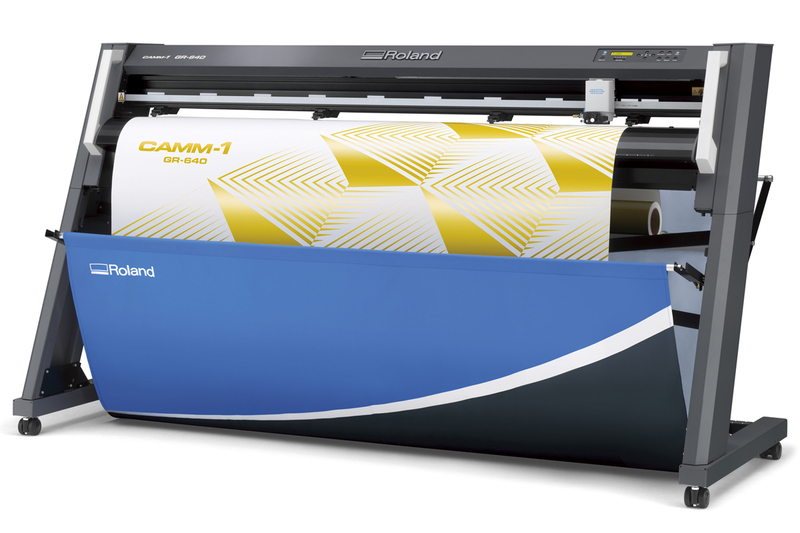 The CAMM-1 GR series takes cutting productivity, precision and strength to the next level. 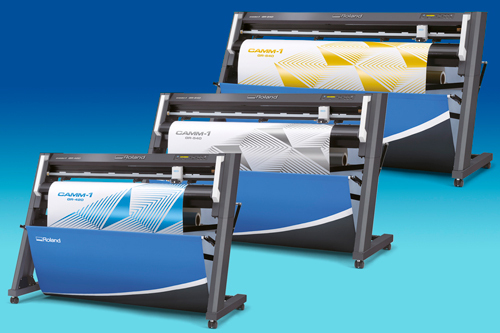 Use as a stand-alone cutter or pair with your existing printer – it’s entirely your choice. But be sure, you can power up your business with the GR cutter series. Delivering up to 1,485mm per second, the CAMM-1 GR cutter boasts the fastest throughput in its class. Its optimised cutting carriage drive system boosts productivity even further by minimising the vertical distance the blade has to travel and advanced weeding tools will help you keep pace with the GR’s high-speed production. The GR delivers precision results, even when operating at high speed. Designed for both strength and stability, the powerful new cutting carriage and blade holder deliver up to 600g of downforce, while the new L-shaped design provides maximum stability to ensure an outstanding quality finish. 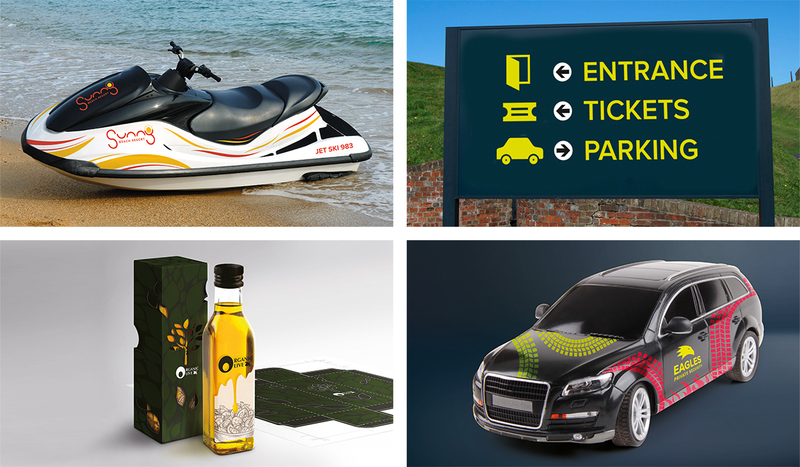 Produce laminated graphics, signs, labels, packaging prototypes and reflective graphics. 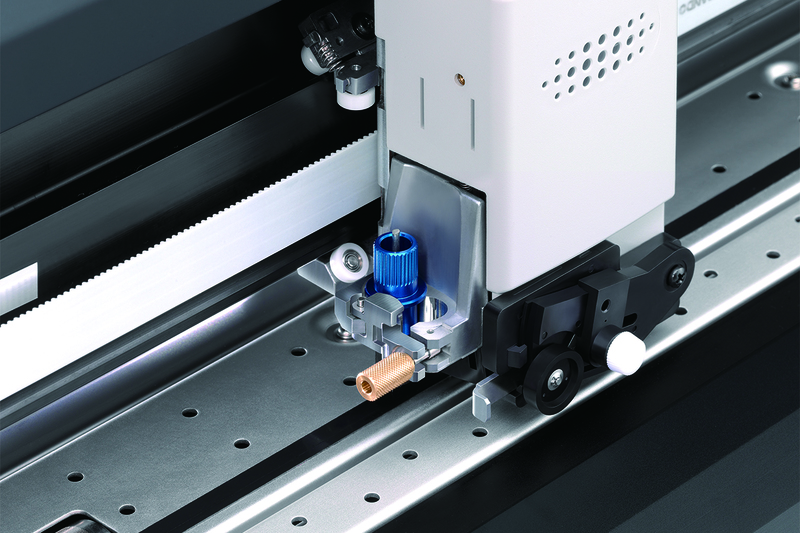 For improved tracking and smooth media feeding without feed marks, the GR’s new electronic pinch rollers have up to 10 pressure settings to handle even the most challenging of media, including soft flock materials, thin window tint and thick reflectives. · L-shaped design. Robust integrated stand and media holder increase stability and minimise vibration. · New electronic pinch rollers. 10 settings at the touch of a button to feed media with just the right amount of pressure. · Optical registration system. For accurate contour cutting of printed graphics. · Dual position cutting carriage. For standard and perforated cutting. · Digital encoder for variable blade height control. Ensures maximum throughput and reduces the risk of substrate damage. · Newly designed cutting carriage. Up to 600g of downforce for enhanced media compatibility. · LED carriage status lamp helps instantly check job status from a distance. · Basket to keep media clean and contained, even with lengthy cuts. Comes as standard. · Tray for convenient storage of blades, blade holders and other small items. With its impressive cutting power and variable pinch roller pressure, the GR is compatible with a huge range of media. 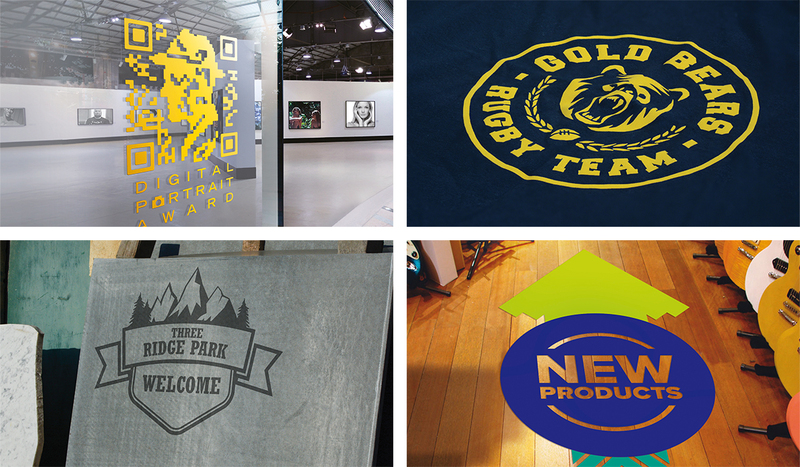 Cut sign vinyl, reflective film, garment heat transfer, glass etch, window tint, and much more. Plus, cut and crease cardboard for realistic packaging prototypes. The GR is certainly up for the challenge. Designed to integrate easily into any workflow, the GR features both USB and Ethernet connectivity and runs from a wide range of software packages. Not only that, included with the GR series is the newly upgraded Roland CutStudio software which makes it quicker and easier than ever to create and edit cutting data. With included Windows® driver, plug-ins for Adobe® Illustrator® and CorelDRAW® plus the ability to cut from VersaWorks Dual, the GR allows seamless integration to support the most complex design requirements and create an easy cut or print then cut workflow. · Weeding lines: minimise production time with the ability to include vertical, horizontal and ‘ring throw’ lines for easy weeding. · Perforated cutting: cut the face sheet and through the media on labels and stickers to deliver a professional finish, fast. · Coloured cutting lines: designate colour to cutting lines according to type for maximum cutting efficiency. · Tiling: for easy application, accurately cut graphics for large installations in sections. · Scale settings: scale artwork by units or percentage increments. · Overlap cutting: specify the number of passes for jobs requiring more than one cut pass.